Is "Game of Thrones" our new "Sopranos"? 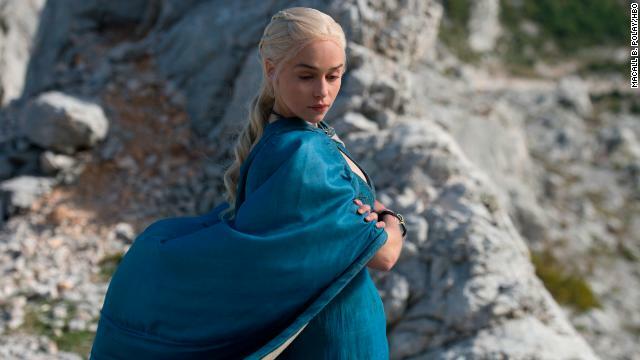 After season four debuted on Sunday, HBO revealed that the episode was watched by more people than the 2007 series finale of its landmark TV show. Sunday's return brought 6.6 million to the fantasy series during its original airing at 9 p.m. on Sunday, and subsequent replays pushed that total up to 8.2 million overall. Clearly "Game of Thrones," created by D.B. Weiss and David Benioff from George R.R. Martin's "A Song of Ice and Fire" series, has struck a chord since its season 3 premiere. That installment was comparatively watched by 4.4 million, although season three ended with an average of 14.4 million viewers per episode. This season's draw is poised to be even higher if interest in Sunday's premiere is any indication. There were so many people trying to watch the season four opener online that they crashed HBO's mobile platform, HBO Go. Unsurprisingly, a day after "GoT" crushed it in ratings, HBO announced that it has renewed the series through season six.